In this recorded Serendipity session we actually took a look at two topics – “spot the station” and “Facebook apps”. For both we asked the proposers to expand a little before we decided this. This intriguing title gave us a fascinating subject. The International Space Station (ISS) and related matters in the context of learning. “Spotting the ISS” was something recently discovered by one of our participants but unknown to the rest of us. 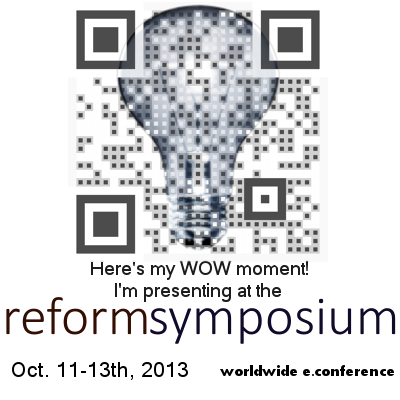 So none of us had in-depth knowledge to share on how we could use this with students. However we all had snippets of information about the ISS and other space related resources, so we each spent five minutes exploring and then shared links and thoughts on the whiteboard, in chat and through audio. The NASA ISS webpage has lots of exciting content and the ISS tracker page shows the current position and track of the ISS. Lots to explore and huge potential for educators especially as the astronauts are on several social networks! We moved on to talk a little about Facebook apps, although inevitably there was some broadening of this into other social media. Concerns raised were about security issues and the increasing amount of advertising in one form or another. We all recognise that advertising is what enables Facebook to be free for us to use. However with Facebook and with other social media this seems to be on the increase and becoming more and more intrusive. In terms of security most of us are cautious about using apps in social media. It often seems that the security and privacy settings are far from simple to use and that they sometimes revert to defaults! This is a potential topic for a future FineFocus session. As always Serendipity gave us much food for thought! 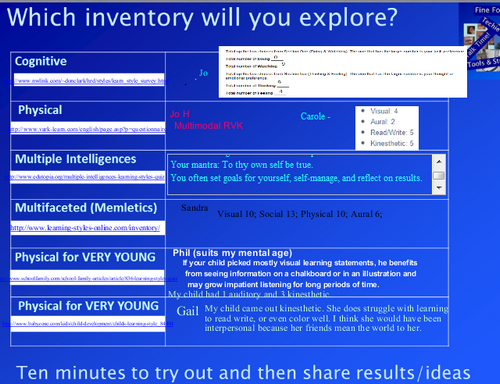 Our next Webinar is a FineFocus session where we will take a look at learning style inventories and their usefulness or otherwise. Join us on Thursday April 18th at 23:00 GMT/UTC the time for you will vary depending on your timezone (check yours here) Thursday afternoon/evening in the USA, late night Thursday in Europe, and Friday morning April 19th in Australia – in the usual Blackboard Collaborate virtual room. 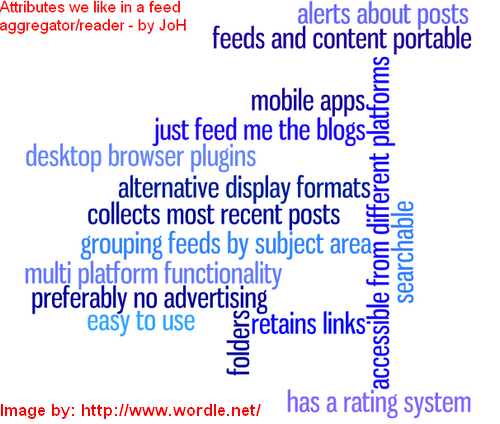 This recorded session was a FineFocus session where we looked at some of the possible replacements for GoogleReader. The topic was born out of the previous session which was a Serendipity discussion about the upcoming demise of GoogleReader. 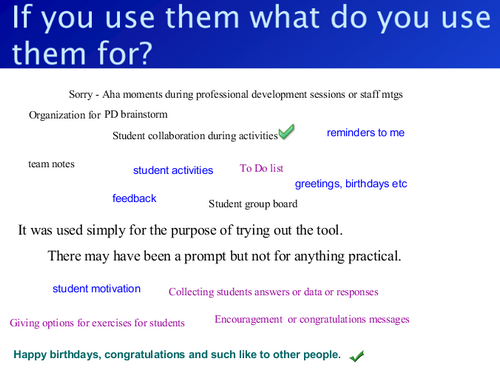 This session was similar to our occasional ones where we each experiment with a tool or app that we might use with students and then feedback to the group on the experience. However in this case our concerns were more about the tool meeting our individual needs for a GoogleReader replacement than being suited to student use. We followed out usual practice in these exploring sessions of each member of the group spending around 10 minutes exploring one of the alternatives and then feeding back to everyone else using audio, textchat, whiteboard and app share. As usual this worked well in providing first impressions! Checkout the recording for the feedback. This was a great session! One of the best things about this type of session is that it gives an idea about the potential usefulness of several alternative tools/apps in a much shorter time than it would take each of us as individuals to look at them all. This often enables us to narrow down our choices to one or two for deeper exploration.